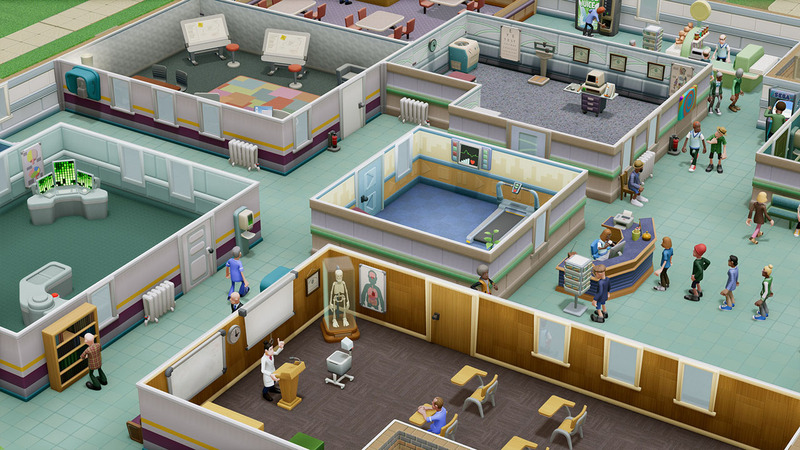 Two Point Hospital is set in the fictional location of Two Point County, where you start out building and operating smaller village hospitals before making your way up to the larger, busier hospitals of the county. Rooms, corridors, waiting areas, decorative and functional items; all can be placed and poisitoned as you design your perfect layout for a functional or just beatiful hospital. The game features many different funny illnesses such as "Mummification" where the patient has transformed into an egyptian mummy and "Light Headedness" where a patient's head has transformed into a light bulb. Once you have diagnosed a patient with a new illness, you'll need to build the right rooms to treat them and hire staff to operate the machinery. Once you've got the basics down, you can then research improved cures and medical machines, then go back and upgrade your facilities and train your staff. 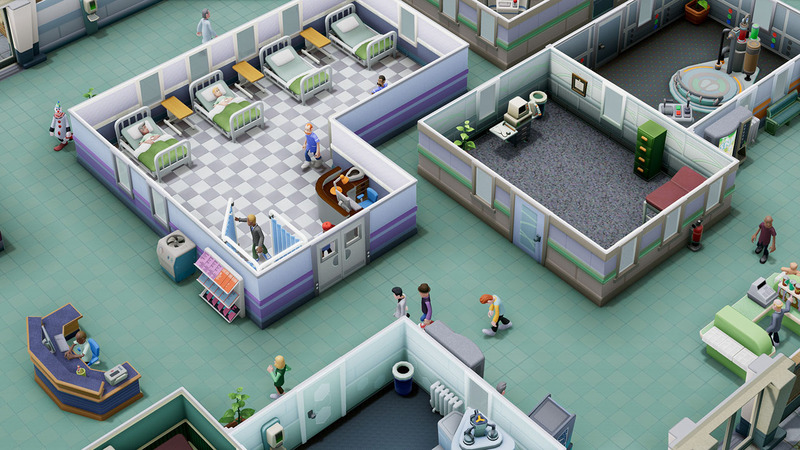 Two Point Hospital will be available for PC late 2018.